Choosing a gift for a young child is not usually too taxing, but what happens when they are at an in-between age? 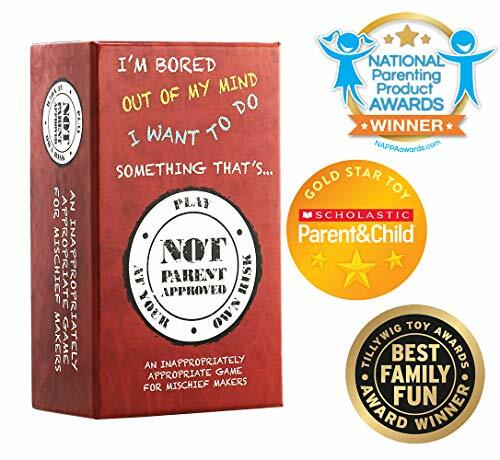 No longer babies but not yet teens, what are the best gifts for 11-year-old boys? Fluffy teddies, wooden cars, and bouncing balls will no longer be welcomed. Your 11-year-old is at that awkward age — their interests are constantly changing, much like their moods. They are on the road to adolescence and are often hard to please. Let’s look at some of the criteria when choosing a gift for an 11-year-old boy and then review our top 33 picks. Use the links above to check the latest prices or read our in-depth 11 year old gift reviews below. Tween boys are primed for developing more maturity, and are starting to explore their independence. They also still want the loving nurturing care of a parent, though. Toys and games which challenge but don’t frustrate them will be a good choice. Make sure the instructions are easy to read so they have the option to play independently if they want. If they need help from mom or dad or want to play a game, they’ll ask (source). Technology is now becoming the in thing for kids, and this age is the ideal time to learn more about it. Gifts that teach them how to code, or the latest gadgets, will go down well. Then there are toys and games which mirror the school curriculum, in regard to science, technology, engineering, and math (STEM). These will help them develop skills they can rely on later in life, when they decide on a career. Many 11-year-old boys are likely developing a keen interest in sports and will love playing outdoors. Get them something that’s fun which they can play with friends or practice their chosen sport skills. Also, don’t forget about books. Quiet time away from TV and video games is good. Their reading skills will be improving all the time, so find books that will engage their brains and spark their interest. To make life easier for you, we’ve broken our top choices of the best gifts for 11-year-old boys down into sections. That way, you can decide what sort of gift you’d like and find the best ones. 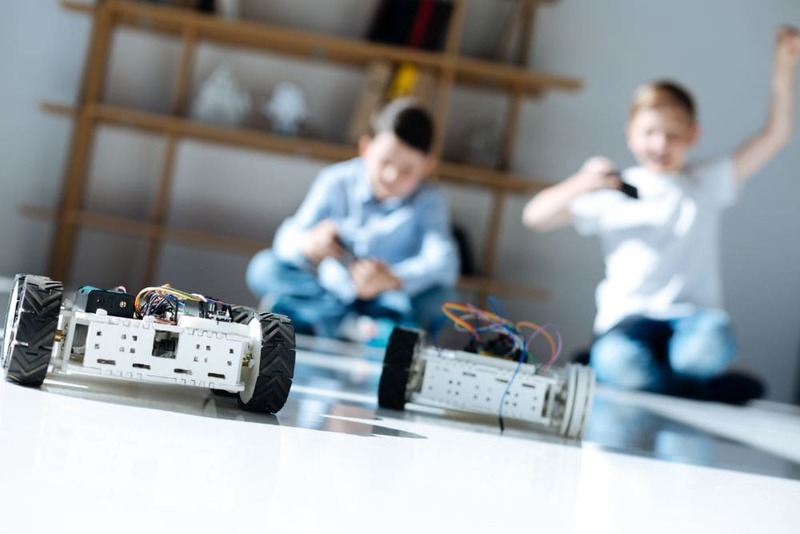 Whether it’s building a robot, finding out how circuits work, or playing with gadgets, boys love electronics and technology. It could be the latest headphones, a camera that will capture their antics, or some screen time on a tablet. 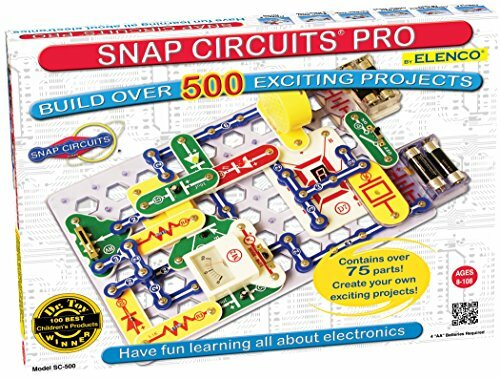 There are 500 projects on offer in this kit, to help kids learn about circuits and electronics. No dangerous soldering iron or tools required — all the pieces just snap easily together. Kids can experiment with alarms, a flying saucer, an AM radio, or a musical doorbell, among others. Clear instructions are provided to help them succeed. Does your 11-year-old play video games which you have to listen to? 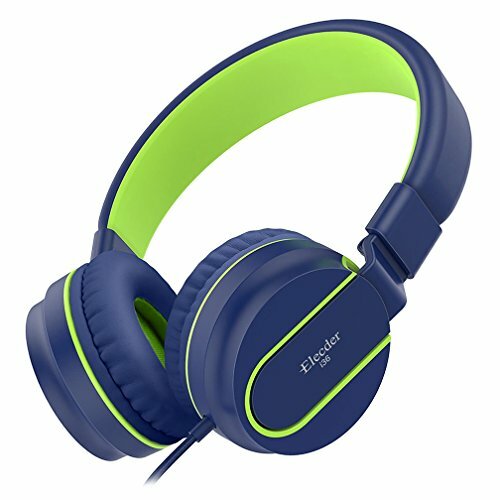 Get them some kid-friendly headphones. These have a 59-inch lead, which doesn’t tangle or damage easily, and the headband is adjustable for a good fit. Another great feature is that these headphones fold, making them easy to carry out and about. Plus they come with a one-year warranty. 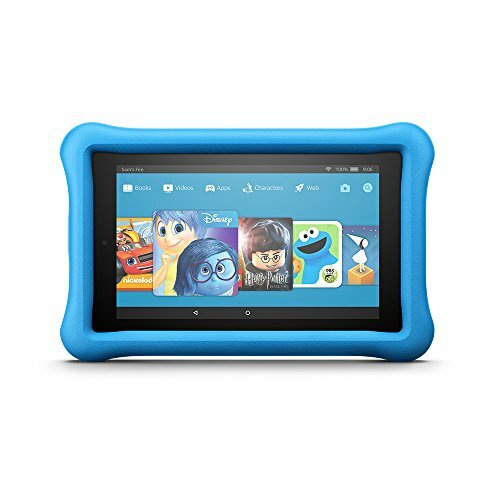 This kids version of the Amazon Kindle is a great way for them to access books, apps, their favorite shows, and more. What’s even better is that you can set the parental controls to make sure it’s all age appropriate. Included is a heavy duty case, a year’s subscription to Freetime Unlimited, and a two-year replacement warranty. 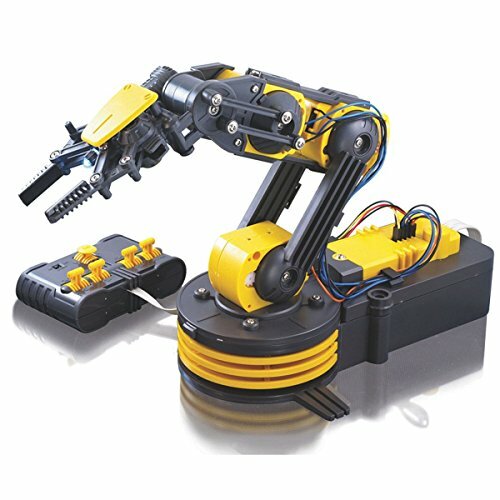 Start exploring the world of robotics and engineering by building your own robotic arm. Good for 11-year-old boys, this arm will open, close, grab, release, rotate, and reach, once assembled. I like that there’s an audible indicator on each of the five gearboxes to help prevent injury or breakages when it’s operating. Get your boy interested in the world of photography and videography. 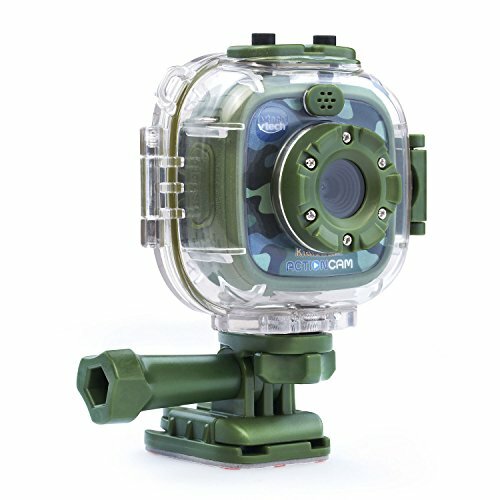 This durable camera can be fitted to his scooter, skateboard, or bike. It will even work, in the waterproof case provided, in 6 feet of water. An LCD screen lets him easily see what he’s capturing. There are also games, frames, filters, and fun photo effects. This kit can be used to build a robot in as little as 45 minutes and is compatible with most major building blocks. 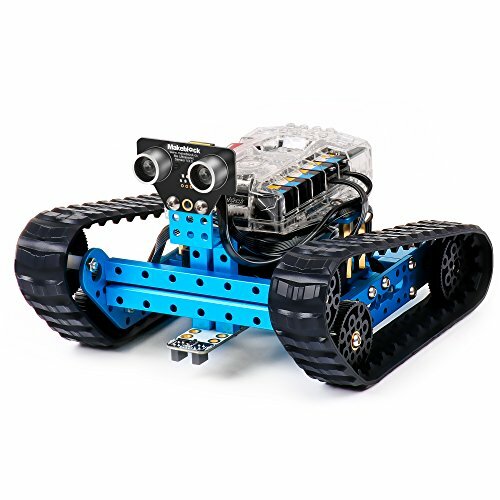 Once assembled, it can be programmed via the free Makeblock app, which is compatible with iOS, Android, Windows, and other operating systems. 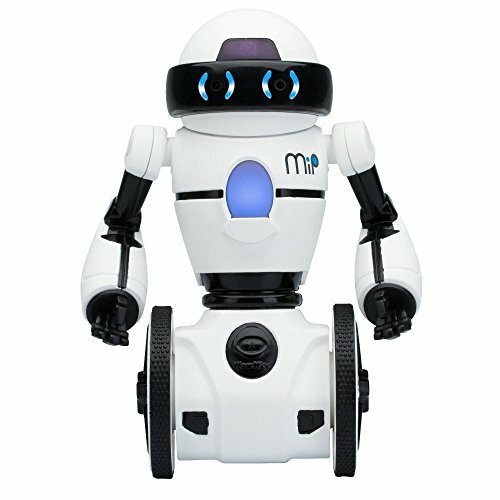 The instructions are easy to follow and give you ideas to customize your own robot. This cute and fun robot responds to the simplest hand gestures. Swipe left, right, backward, or forward and see what he does. Expand his world by connecting via Bluetooth to an iOS or Android device. MiP will also react to noises and sounds around him. He does talk, but as he speaks his own language, it’s unlikely you’ll understand him. Even at the age of 11 years, your boys will still like playing with toys and games just for the fun of it. It’s also great for you and the family to spend some time playing as well — if he’ll let you, that is. Plus, it’s good for him to have games other than the Xbox or Playstation to get involved in. 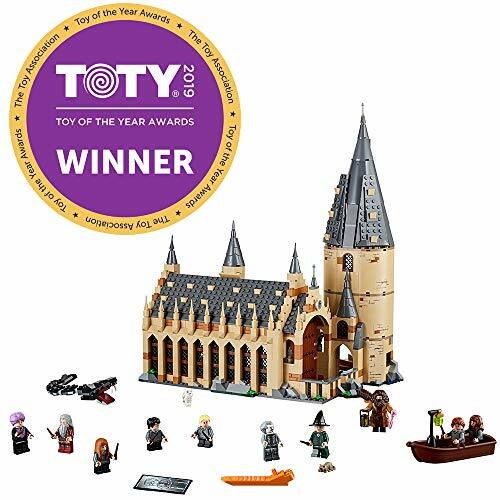 Lego is timeless, and this kit will engage young Harry Potter fans. With wizards and mystical creatures, they can play out their fantasies in this advanced level building. It comes complete with 10 character figures and instructions to create Fawkes, Hedwig, Scabbers, or the Basilisk. There’s lots of attention to detail with extra magical artifacts to complete the picture. This fill in the blanks card games is the kiddie-friendly version of Cards Against Humanity. It’s suitable for up to 10 players over 8 years old, so it can be played with friends or family. I like that it can be played straight out of the box with no complicated rules. It’s also good for travel, making it ideal for holidays, summer camp, or sleepovers. 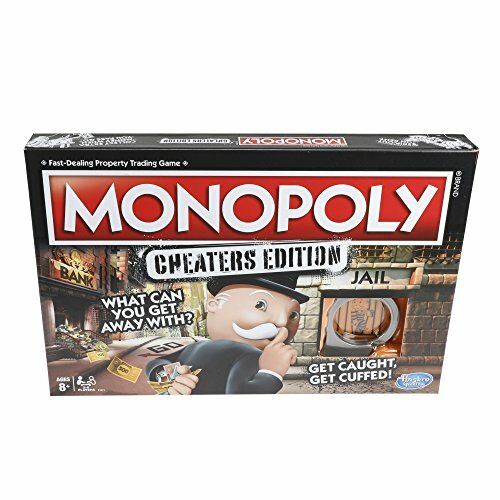 A new twist on the family favorite Monopoly. We usually encourage kids not to cheat when playing games, but this one allows it. However, don’t get caught as there are consequences. Get away with it, though, and you get a reward. Bending the rules occasionally can be fun for all the family playing this game. One for the football fans in your life. This dice game is fast-paced and based on scoring a touchdown. It can be played individually, head to head, or in teams of two. While there’s a certain amount of math involved, your 11-year-old won’t even realize it when they’re having fun with family or their friends. It’s also portable, coming with its own storage bag. 11-year-old boys are often fascinated by the world of magic. 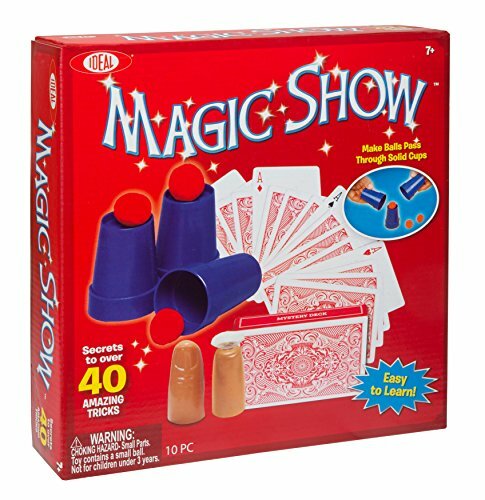 This kit contains all they need to learn some card tricks and illusions. They can make napkins disappear, change dimes into quarters, levitate a cell phone, or cut and restore string. Your budding magician will have great fun putting on his own magic show to wow you. Has your 11-year got what it takes to navigate the labyrinth? This clear sphere encloses 22 feet of 3D track, with 70 barriers in the way of getting the ball to the end. This will provide hours of flipping and twisting fun. When your boy has gone to bed, you can see if you can master it as well! A safe and fun darts game. 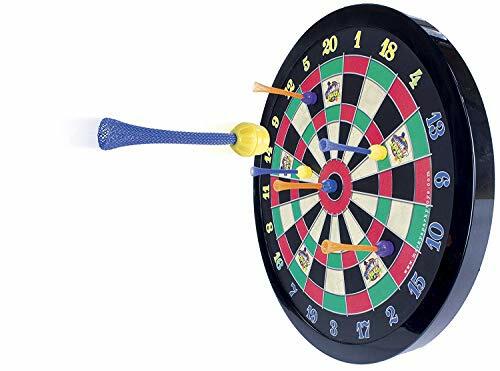 The board hangs on a wall or door, with a picture hook or similar fixing, and the darts are magnetic. Throw them and they stick to the board. This game is fun for all the family, and won’t damage the walls (or the kids!). By 11 years old, boys will be finding their feet and many want to play outdoors with their friends. It’s hard to let go, but they’re getting more independent. There are many gifts you can buy for an active tweenager to get rid of their energy and wear them out a little. Whose rocket will fly the highest? 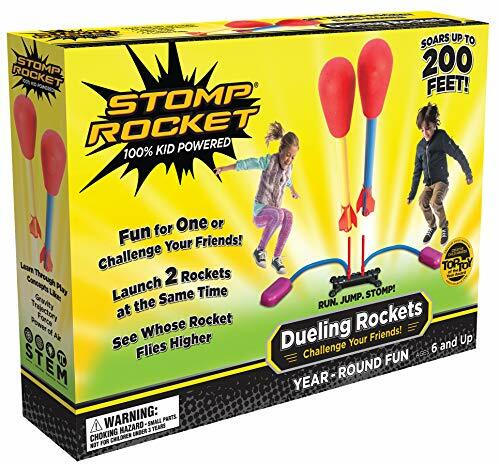 This kit has two “launchers” for kids to stomp on and send their rocket flying up to 200 feet in the air. It requires no batteries or electricity, simply kid-power as they jump on the ignition. This is great for outdoor fun for your 11-year-old and his friends. What child doesn’t enjoy a game of frisbee? 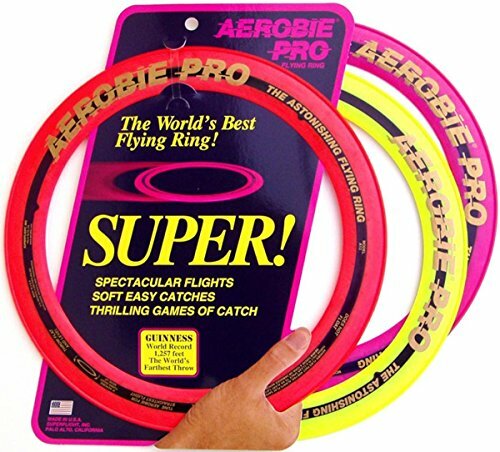 These rings from Aerobie are lightweight, soft, and easy to catch, plus they’ll also fly a long way. This type of ring was used to set a Guinness world record of a throw of 1,333 feet. These are great for a game of catch and to personalize your throwing or catching style. The open center lets you catch it on your arm, hand, or foot. This Y-shaped scooter is more than likely the closest most of us will get to skiing off the slopes. Your 11-year-old can lean into the handlebars and twist his hips to do mega drifts and 360-degree spins. On top of that, it will go at speeds of up to 15 miles per hour, so don’t forget the helmet and protective pads. 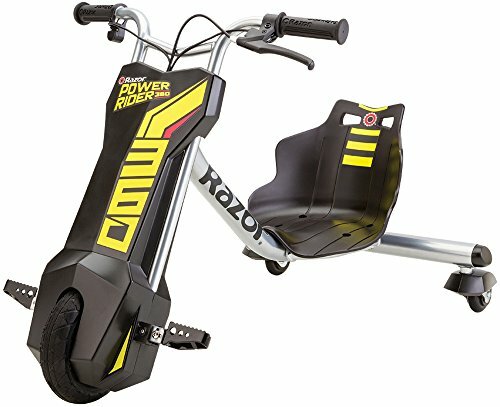 One of the best features of this scooter is that it folds away for easy transportation and storage. Nerf battles are the in thing for boys on the go. 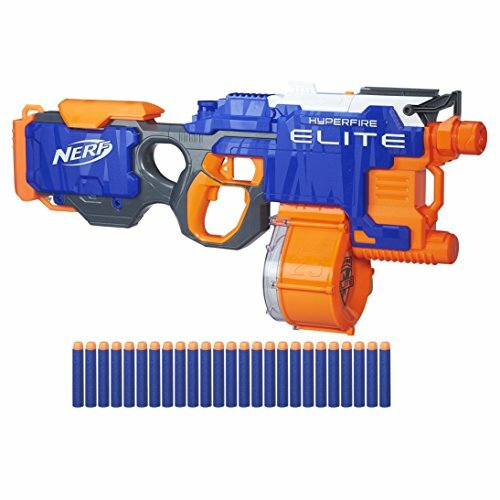 This Nerf gun will hit your target with its 25-dart drum that can fire five darts per second. Load it up, press the trigger and blast them off — they’ll travel up to 90 feet on fresh batteries. The motorized mechanism requires four D batteries that are not included. If you really want to push the boat out, this electric three-wheeler power rider is sure to be a hit. It will run for up to 30 minutes on a full charge and has a maximum speed of 9 miles per hour. It will slide, drift, and even do 360-degree turns. 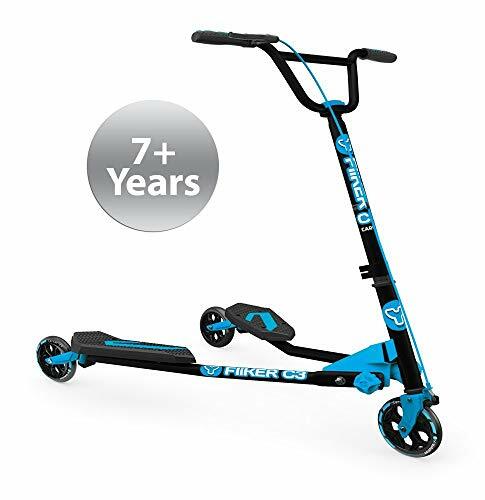 Powered by a 12V rechargeable battery, it has a hand-operated front brake and a pneumatic front wheel that resists high impact. 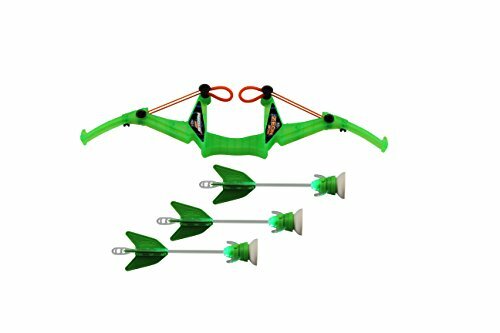 Take target practice to another level with this safe bow and arrow set. Pop the arrows in the fast load loops in the bow, take aim, and fire. These arrows will light up at night and the foam sucker tips will stick to many surfaces. It can even be used indoors, but make sure your recipient checks with his parents first. For the little leaguers in your life, why not get them a pitching machine? Practice makes perfect and the soft, small-sized balls launched from this machine will train their eyes to the sweet spot. The pitch angle can be adjusted and there’s a 5-second delay between the pitches, which travel at 30 miles per hour. It runs on C batteries which aren’t included, but it does come with 12 balls. 11-year-olds won’t want to think they’re back in the classroom when they play out of school. With these educational and STEM gifts, they won’t even realize they’re picking up new skills. 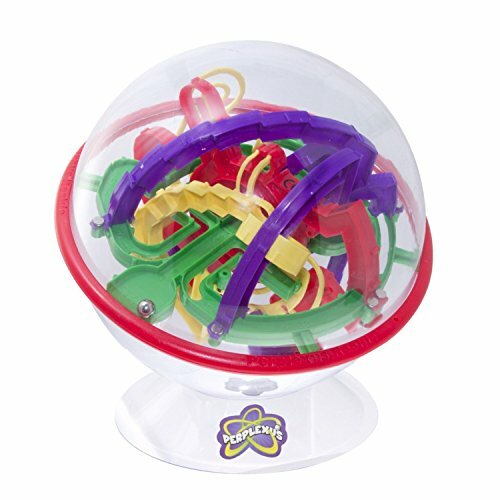 These games and toys are designed to develop your child’s skills while they have fun at the same time. 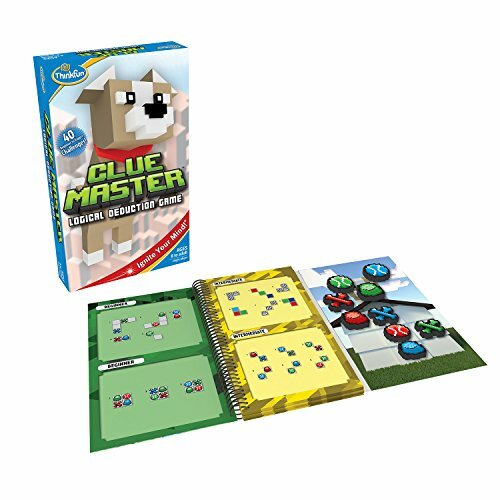 Clue Master Is a logic game which will help develop deduction skills and logical reasoning in a fun way. It comes with magnetic pieces that are used to solve the 40 challenges. It starts off easy, but gets progressively harder, and two minds might be better than one on this solo player game. I like that it folds like a book, making it practical to use in a car or restaurant. Kids love digging for treasure. 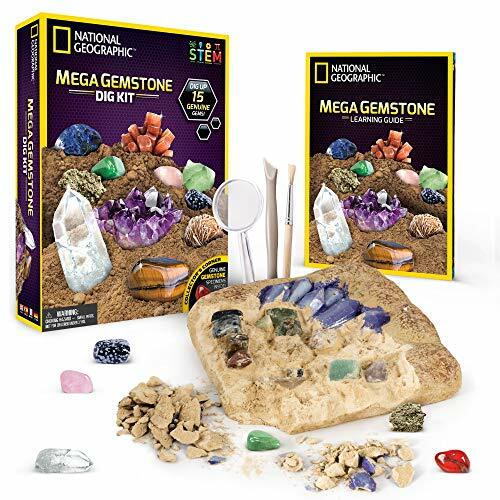 With this kit, your budding archaeologist or geologist can uncover 15 different gemstones from a solid block. The tools they need to excavate are all included. An informative book with complete instructions is enclosed and easy to follow. 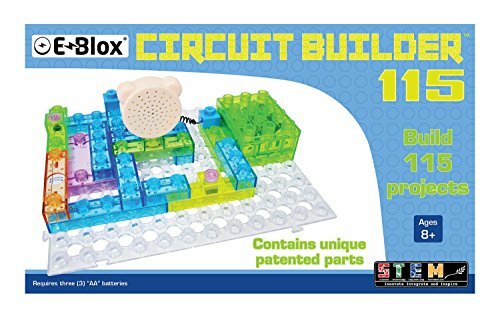 Introduce kids to the world of electronics with this brick building circuit set. There are over 115 projects they can complete which will light up, make sounds, or create motion. It requires three AA batteries (not included) and is compatible with similar building bricks of different brands. Become a super sleuth and enter the realm of forensic science. 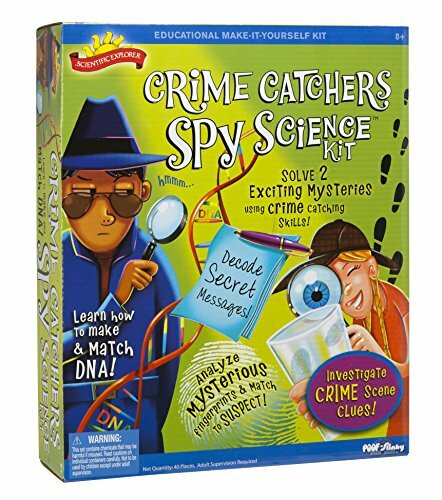 Use this kit to solve two mysteries by decoding secret messages, matching the fingerprints, and completing other scientific tests. The kit contains all you need to make your deductions. Your kids will love this insight into the work of a crime scene investigator. 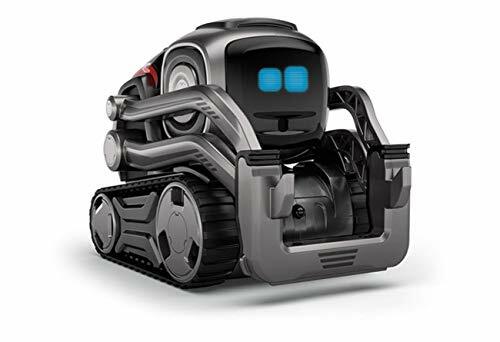 Ready to use out of the the box, Cozmo will become your child’s new best friend. He can be coded via a free app, with three different levels of coding to keep kids engaged. This robot expresses emotions on his screen, has facial recognition software, and is great fun. This collector’s edition comes in cool black and silver colors. If you prefer, you can also get the original Cozmo in red and white. 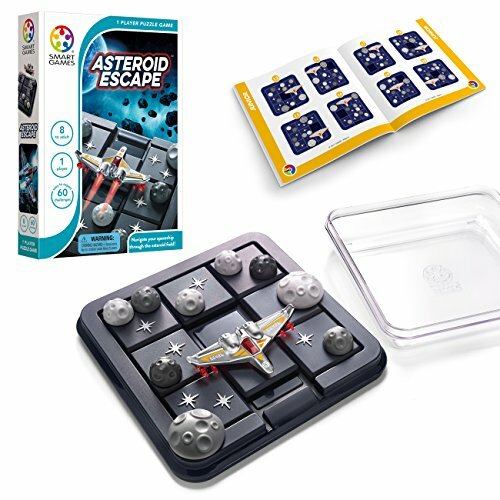 Have you got what it takes to get your starship out of the asteroid attack? This slide and move game will test your child’s planning, problem-solving, and visual perception skills. There are 60 levels to complete, from beginner through to expert. The portable game board comes with complete instructions and challenges. There are other gifts for 11-year-old boys that deserve a mention. Their reading skills are now at a level where they’ll enjoy age-appropriate books. There are also some fun indoor games they might enjoy, to get away from screen time. This lighthearted, fun book is filled with puzzles, statistics, stories, and facts. It covers subjects such as monsters, disasters, treasure, weapons, cars, tricks, and so much more. Learn how to make some fake blood, escape from a shark attack, or land an airplane in an emergency. 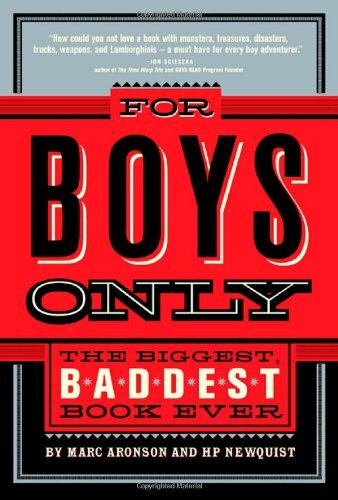 I like that this book is aimed at boys, with lots of fun and educational facts thrown in. 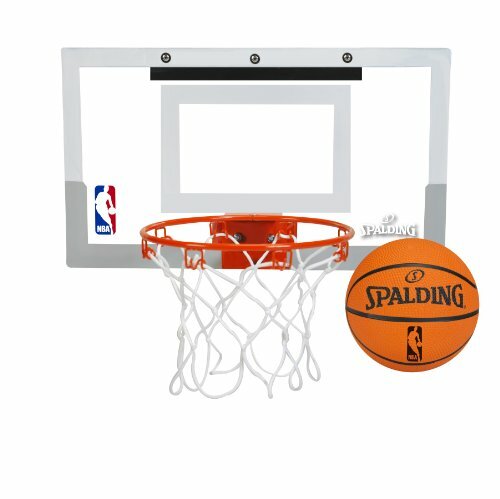 Practice throwing hoops in your bedroom with this mini-basketball kit. It fits over the door with padded hooks, so mom and dad won’t complain about any damage. Complete with an NBA logo, this quarter-scale replica backboard and net also has a 4-inch rubber Spalding ball. This modern twist on a classic outdoor game is great for camping, backyard fun, or the beach, when the sun goes down. 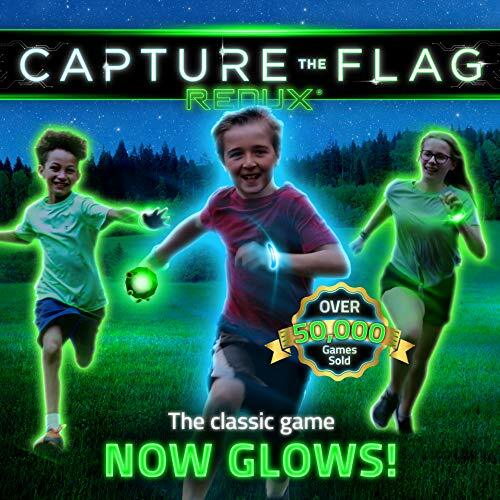 Complete with all the batteries, you get territory lights, jail markers, light up team wristbands, and glowing crystals to represent each team’s flags. This game is great for families or larger groups of up to 20 people. 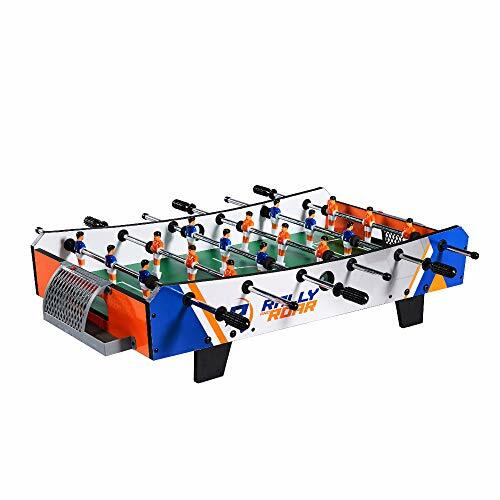 This is a miniature tabletop version of classic foosball. Suitable for two to four players, it’s compact and lightweight. Challenge your friends or siblings or create your own soccer league for hours of fun. This sturdy set is made from chrome-plated steel rods with non-slip rubber handles and comes fully assembled. 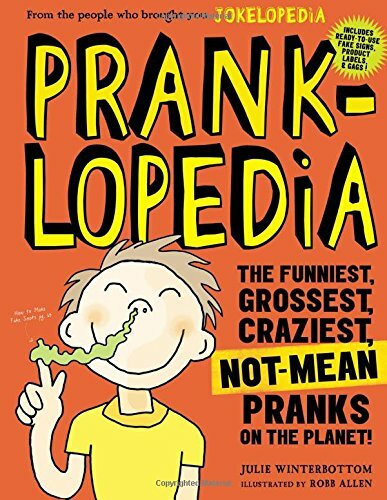 With over 70 pranks and step-by-step instructions for each, your 11-year-old boy can have great fun with this book. He can make fake edible dog poop, fake snot, or fake mouse turds in ice — really gross! What I do like is that all of these pranks are fun and not mean in any way, even if they might get a bit annoying for mom and dad. 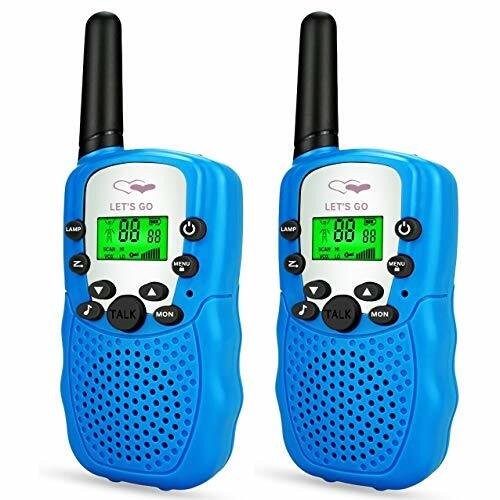 Designed with kids in mind, these walkie talkies are great fun for boys. They can strategize while playing nerf battles, or give one to their friend across the street so they can keep in touch. With a 2-mile range, clear sound, and three channels, it’s an ideal communication tool until they’re ready for a cellphone. We hope you now have a little more insight into the sort of gifts you can get for an 11-year-old boy. They’re at that difficult age where choosing what they’ll like can be hard. Just keep in mind they still like to have fun, even if they’re learning something at the same time. Of the gifts we’ve detailed, my favorite is the ThinkFun Clue Master Logic Game. It’s small and portable and can be played anywhere. There are also enough challenges to keep inquisitive minds occupied. We hope you’ve been inspired by our guide to the best gifts for 11-year-old boys and enjoyed reading it. Please leave us a comment and don’t forget to share.